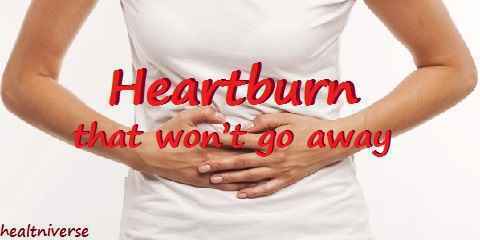 Heartburn that won’t go away you might ever feel for several times. This disease is often misinterpreted to be a heart disease that it actually has nothing to do with heart. It is actually a disease that is related to your stomach. Heartburn is a pain (burning sensation) you feel in the central chest or upper central abdomen. It is also known as acid indigestion. Another name for this disease is esophagus irritation. It is because some of the content of the stomach flows back up into the esophagus. It is a symptom of GERD / Gastroesophageal reflux disease. So it isn’t related to heart disease or even heart attack. Heartburn is a common complaint that many people might experience. Heartburn is not a heart disease or heart disorder. It is a disease that occurs when you produce too much stomach acid that eventually flows back up into the esophagus. Many people misinterpret this disease with heart attack which is slightly different. A lot of people think they may have felt the symptoms of heart attack, which they have mistaken it. It is because they have a slight pain in the chest. 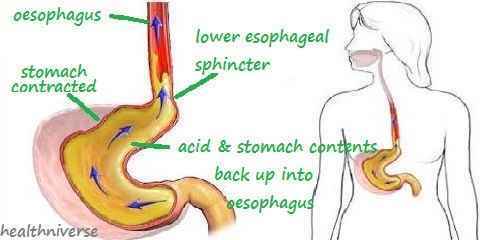 That’s why we need to recognize the symptoms of acid reflux so that we can treat the diseases properly. The basic symptom of heartburn is that you feel burning sensation in your chest. That symptom is usually followed by a feeling of something being stuck in your throat or difficulty in swallowing, persistent sore throat, and a sour taste at the back of your throat. However, the symptom of heartburn can also be accompanied by dizziness or cold sweat, radiation to the arms or neck, and shortness of breath. If the latter symptoms appear, it is strongly suggested you go to a doctor or a health-care professional as soon as possible. Do you have a heartburn pain that seem won’t go away that making you depressed? If you do then you have to look for the right treatments. When you feel that your heartburn is hard to get rid of you need to see the proper treatments because it can cause permanent damage to your esophagus if it occurs too many times a week. You can start treating heartburn by changing your lifestyle. One cause of heartburn is overweight or obesity. So the first step to treat it is change your way of diet to lose some weight. You need to control your intake food very carefully. Keep away from foods which trigger heartburn like spicy and fatty foods, alcohol, and carbonated drinks. Other treatment is taking the correct medications. There are some types of medications in treating this digestive disorder. Ones to neutralize antacids or stomach acid, ones to reduce the production of acid, and ones that block acid production. But you need to consult with your doctor about taking these medications. No matter how slight or severe your heartburn occurs, you need to take a serious action to treat it. Recognizing the symptoms and the proper treatments can be the important knowledge you need to have about heartburn and indigestion that won’t go away.